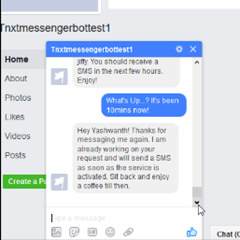 Chat-Bot is an automated service oriented chat box integrated with Facebook messenger. User’s requirements are captured, processed and serviced accordingly. 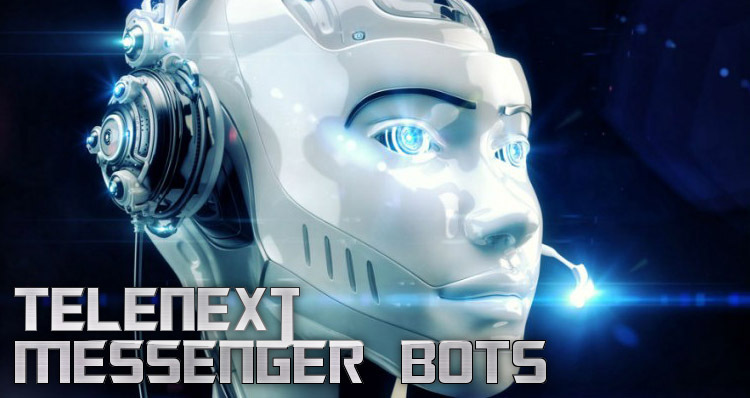 The intelligent chat machine understands queries by the means of inputs and replies accordingly. 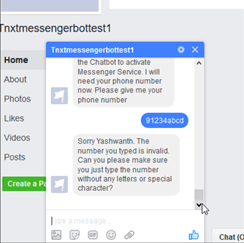 Why Chat bot on facebook messenger? Social networking sites are extremely popular among all age groups and service discovery becomes very easy. 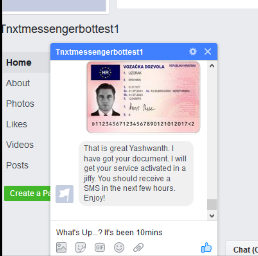 As per statistics, Facebook is top ranked, this networking site has a big number of active users who stay signed in 24X7. Who might find it useful? Cellular Network Operators for first level customer support operation - Tariff pack activation as well as VAS activation. Request for a gas booking. Movie seat booking (without payment module involved). Any kind of service oriented leads can be channelized to this platform. Two way interaction- system will be able to understand and make out between correct details and wrong details entered. Algorithms to reply brilliantly: Strong algorithms scripted not to mislead the user. 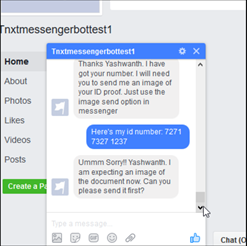 Instant reply: Even during processing time, system replies with the adequate and suitable answers. Demo: A demo is conducted to help users in understanding and availing all the services provided through this medium or channel. 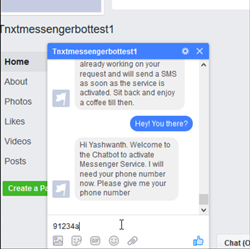 Login into Facebook Messenger, search for the vendor or merchant to get services. Go through the demo to know services offered by this module and reply accordingly. In our example, we tried to enter a number and fetch prepaid tariff plans for the same. After browsing, reply back with the correct option to activate the appropriate plan.